Observation - Seaweeds - UK and Ireland. 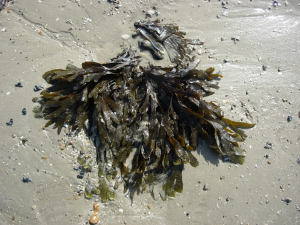 Description: An isolated example of serrated wrack exposed at low tide on a particular stretch of Worthing beach. An isolated example of serrated wrack exposed at low tide on a particular stretch of Worthing beach.